Cancrete®'s 10 Year Warranty (3 Year Full Replacement on Hulls) shows we have confidence in our product. North American made for producers that "Demand the Best"
Nobody knows better than a cattleman the importance of water to cattle gain and condition! 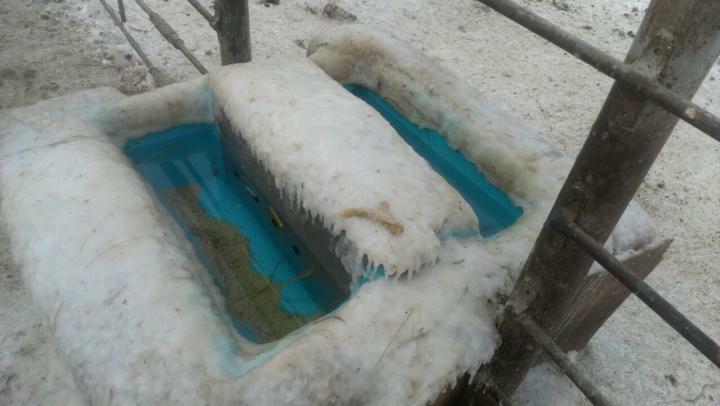 The last thing you need is waterer problems in -40F or +90F. Please feel free to contact Cancrete® with any questions, comments or concerns you may have. We are committed to providing a timely response to each and every inquiry. Take the guess work and maintenance out of Continuous Flow on any tank! 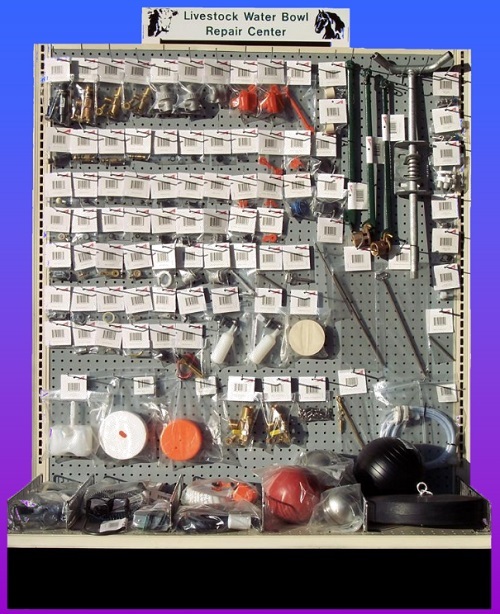 Find water tank PARTS at our retails, for any tank, when you see this display! Miles City Showcase - Click to see more! Turner Bison on a Cancrete! Don't make a purchase, make an investment! All cattle waterers are not created equal. Cancrete® has been engineered to withstand harsh winter, hot summer and heavy use by exotic animal, equine, dairy, cow/calf and feed yard producers. 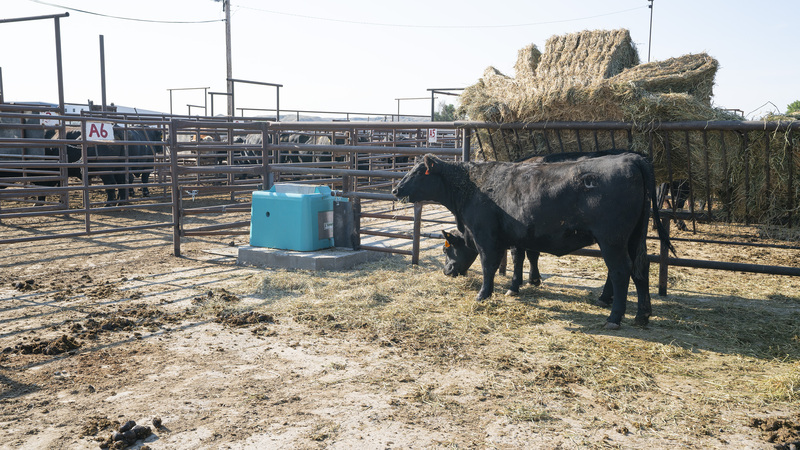 This waterer can withstand the abuse of your climate and the cattle! Proven success in all the major feedlots, Cancrete® comes out on top. Regardless of the amount of livestock and herd size, Cancrete® has a model suited to your needs. Regardless of the amount of livestock and herd size Cancrete has a model suited to your needs. With Extremely low maintenance you can be assured that whether its a small Cow Calf operation, a large feedlot with several hundred cattle or a dairy farm Cancrete Waterers are going to make watering easier for you. 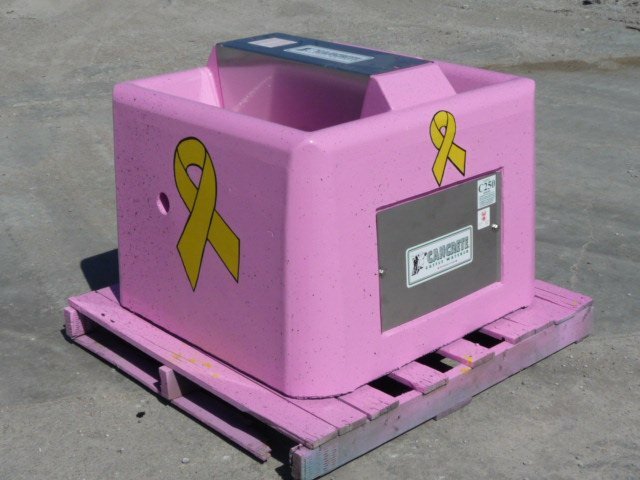 Cancrete Waterers are Reliable in all types of temperatures from 100F to -40F. After all the last thing you want to worry about is Freezing Water at -40 or Dehydrated animals at 100F. 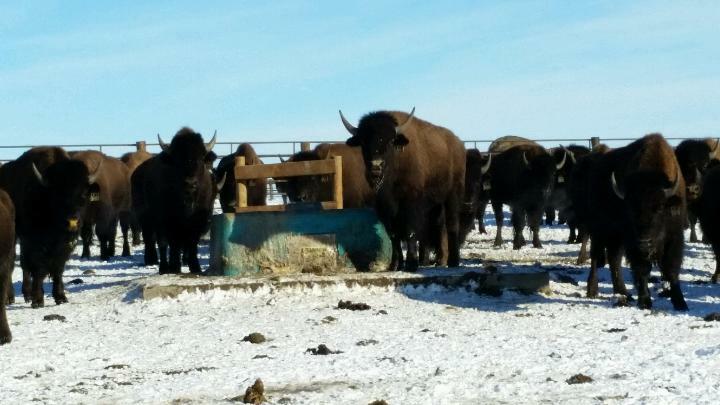 Setup a Cancrete Waterer in your Pasture or in a Pen and let us take care of your Cattle, Bison, Horses and other Livestock Watering needs. We also carry Replacement parts for HEDSTROM and SIMONSON cattle waterers, HEDSTROM and SIMONSON Concrete cattle waterers, HEDSTROM and SIMONSON Livestock cattle waterers.